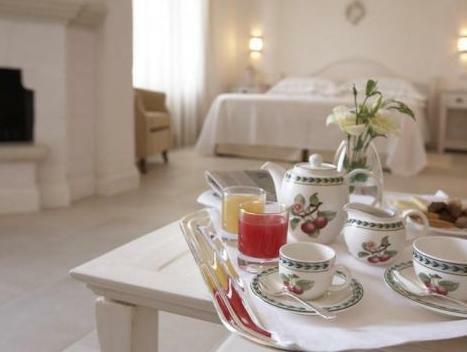 Luxurious Borgobianco Resort enjoys a stunning location on the hills overlooking Polignano and the Adriatic sea, providing exceptional facilities in the heart of the peaceful Apulian countryside. Most rooms include free spa access. Here you will find yourself ideally located for discovering all that Puglia has to offer, from beautiful beaches to sleepy historic villages. The sea at Polignano A Mare is just 10 minutes away and you can be at the famous Castellana Caves in just half an hour. 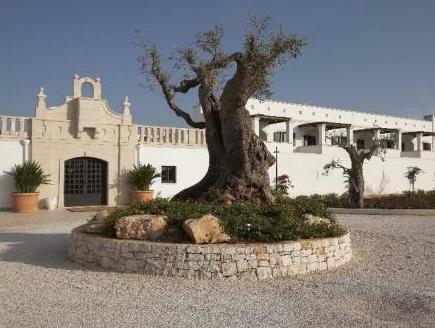 This charming resort offers elegant rooms and suites with breathtaking views of the surrounding area and its typically Mediterranean olive groves. Rooms benefit from all modern amenities including free WiFi access. Providing indoor and outdoor pools, a fitness center, a spa and wellness center and a restaurant serving prestigious wines and fantastic local cuisine, Borgobianco is the perfect place to relax and enjoy an unforgettable stay.